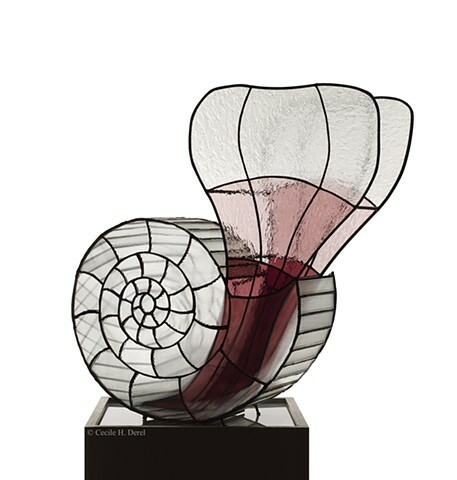 Pteropod: Limacina helicina is a 3-dimensional stained glass representation of a pteropod that sits upon a lit pedestal. Pteropods are sea snails that have a split “foot” which flaps like wings to travel through water. Although only millimeters in size, pteropods are a key organism in the polar ocean ecosystem. As such, they have become a focus in scientists’ research into the impact of ocean acidification, which causes pteropods’ delicate calcium carbonate shells to dissolve. Photography by Ben C. Pegram.